The phrase ‘the world wide web’ now sounds somewhat antiquated. But during the infancy of the internet, its usage served to encapsulate the global potential afforded by online communications and trading. Today, we have become rather nonchalant about the web, noticing it only when connections are down or unavailable. And yet, when it comes to e-commerce, are businesses really exploring every selling opportunity afforded by this international, border-free marketplace? There is no doubt that the UK’s e-commerce export market is healthy and growing rapidly. A study from OC&C Strategy Consultants and Google UK suggests e-commerce exports could be worth £45bn (US$59bn) by 2020. The UK is among the biggest cross-border B2C e-commerce exporters worldwide, supported by the popularity of British brands around the world and the prevalent use of the English language. Recent reports state that the UK was the most popular destination for cross-border online shopping among European online shoppers purchasing abroad, followed by Germany and France. While this outlook is rosy, ambitious retailers will want to look beyond the tried and tested export markets – routes that will undoubtedly become increasingly competitive – toward new territories with untapped potential. For such businesses, Israel represents a standout opportunity. 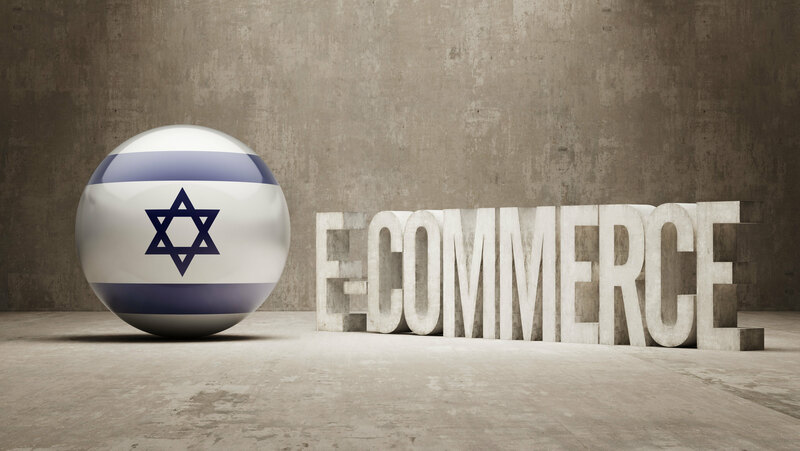 In 2016, the Organisation for Economic Cooperation and Development (OECD) identified Israel as the number one country for online shopping per capita, with Israelis generating 52 million parcels worth Shk11.8bn (US$3.2bn). This performance grew by more than 18% through 2017 when Israelis purchased over 61 million e-commerce parcels worth Shk14bn (US$3.8bn). The growth rate is expected to remain at around 20% and pass the 100 million parcel mark in 2020. The most popular sites in the country include familiar names such as eBay, Amazon, Next and Asos along with those perhaps less familiar to a Western audience such as Adika and Ali Express. But there is a very healthy appetite for online buying: around 75% of Israelis order online and 79% of these web shoppers purchase from foreign sites. With a population of 8.2 million, Israel may not seem an obviously lucrative e-commerce market. However, particular domestic circumstances combine to promote Israel to the top of the opportunity list. Only one quarter of Israeli businesses sell online and their prices are much higher than those of foreign companies because of high value added taxes (VAT) and monopolies on many consumer goods. Receiving goods ordered online from Israeli firms can be an ordeal. Many domestic online orders are never delivered by Israel Post and orders that do reach customers can take weeks to arrive. In contrast, orders from Amazon are usually delivered in five days. While Israel is known for innovation and sophisticated technology, its consumer goods are often inferior in quality to those made in foreign countries. This, coupled with higher processing costs, means residents are open to buying anything and everything from foreign retailers. Earlier this year, the Israeli government changed its rules concerning VAT collection from foreign countries. These local nuances relating to taxation and preferred methods of delivery are difficult to stay on top of for many retailers, but these retailers are also acutely aware that if new territories are to be serviced, that service has to be impeccable and hassle-free from day one. As a result, retailers are looking to partner with third-party delivery experts who are well equipped to monitor global delivery patterns and regulations and who can manage the entire process from market scoping to the provision of flexible, tailored delivery solutions. Potential difficulties such as language barriers or legal and financial differences can be effortlessly navigated and the best providers will have the reach and flexibility to adapt offerings as local market conditions evolve. There is no question that the UK’s e-commerce export numbers are healthy and rising. But there are still major market opportunities for UK retailers to explore. The opportunity presented by Israel remains unfamiliar to many, despite hugely impressive statistics related to online shopping penetration and purchases from foreign businesses. The good news for UK businesses is that expert help is at hand to support entry into this market. With 20% growth in online buying predicted for at least the next few years, many UK retailers are ready to explore Israel’s significant potential.